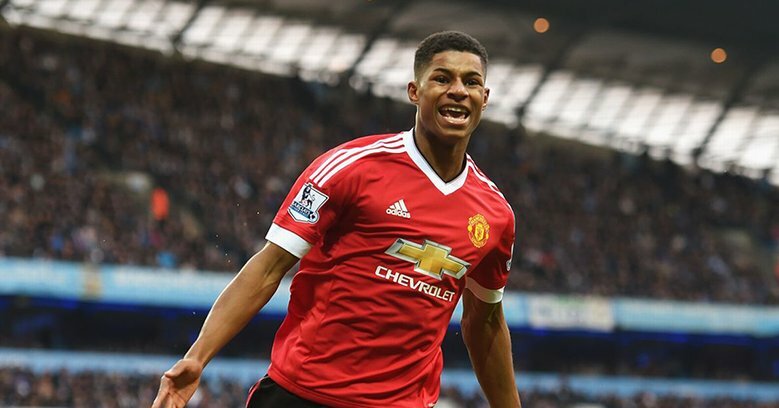 Manchester United forward Marcus Rashford has dismissed reports linking him with a move away from Old Trafford. The Mirror recently claimed that the attacker had become disillusioned due to his reduced gametime, but Rashford has now cleared the air by saying that he is living the dream of representing his hometown club. Rashford started the season as the preferred choice on the left side of the attack, but the impressive form of Anthony Martial from the bench meant that they had to swap their roles. Since then, the 20-year-old has been in-and-out of the starting lineup and of late, he has found himself a regular from the bench amid the additional competition brought about by Alexis Sanchez. Several pundits and former players have urged Rashford to re-consider his position under Mourinho, but United appear to have released the player’s interview at the right time. Despite talks of him receiving limited gametime, Rashford has managed to rack over 40 appearances in all competitions, and he is bound to command more first-team football in the long-run. Sanchez has returned to a purple patch of late with three assists and one goal in the last two matches, but the Chilean is likely to be seen as short-term investment, considering he will be turning 30 before the turn of the year. Sanchez signed a four-and-a-half year deal with United following his winter move from Arsenal.